First off, I blame Instagram for this. 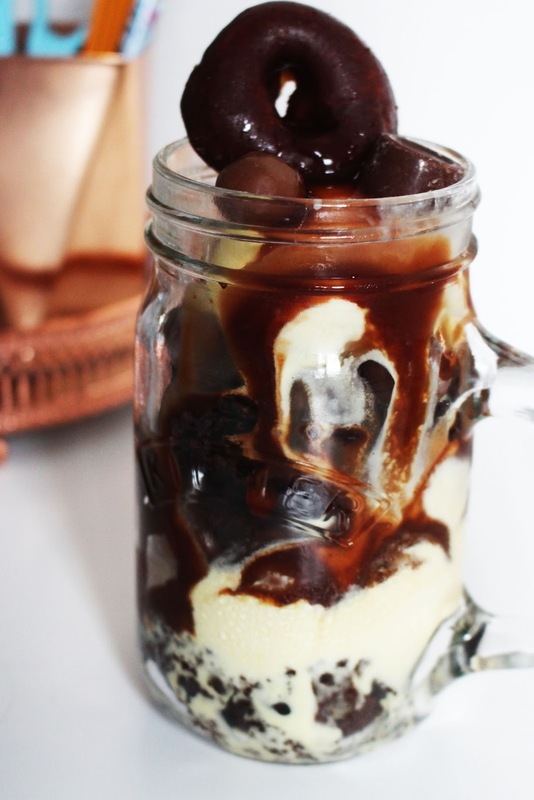 I was quite happily scrolling through and up pops a yummy dessert in a Masonry Jar that looked far too tempting. Anyone that knows me will be aware of my huge sweet tooth so it took my brain a matter of seconds to get the idea to make one of these jarred treats for own satisfaction. Chocolate Brownies - Crushed, used first to layer the bottom and also added halfway through. Vanilla Ice Cream - The most important, used to layer after the brownie and inbetween with a large scoop for the top. Malteasers and Rolos - Used in between layers and to finish on top. 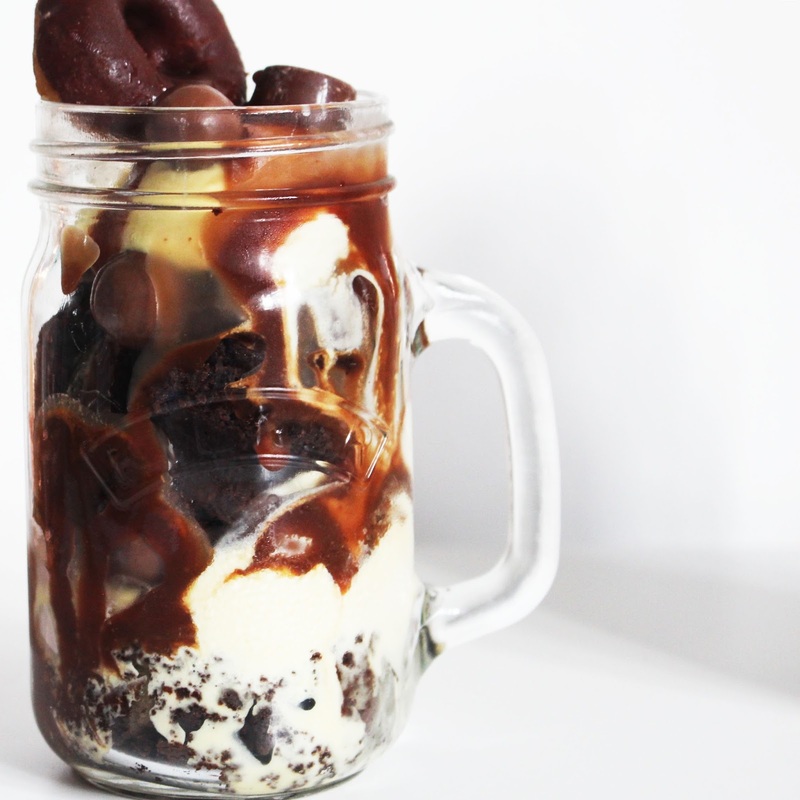 Chocolate Sauce - Let that go everywhere. 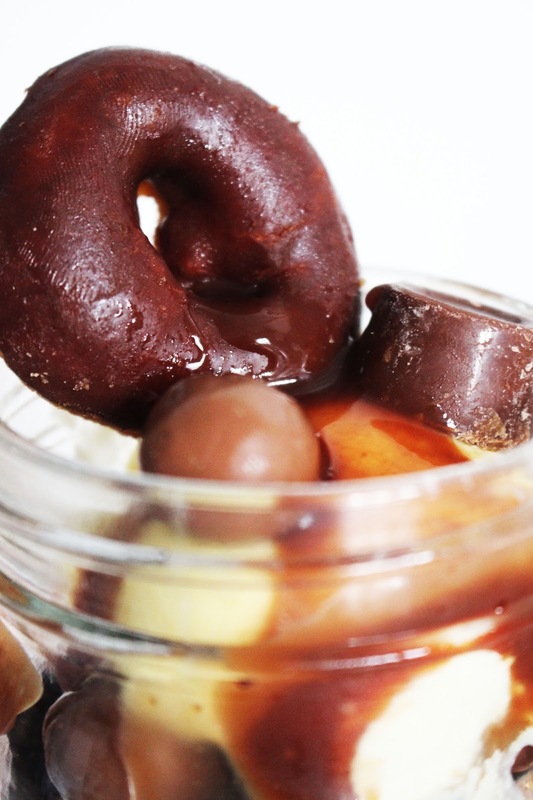 Mini Chocolate Doughnuts - For the top to make it even more yummy. Whipped cream on top would have been perfect but I just forgot to pick up some up, but hey, there's always next time..